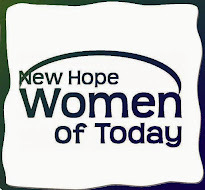 New Hope Women of Today: Twitter This! Someone else Tweet that you share publicly is known as a Retweet. This is a great way to pass along news and interesting discoveries on Twitter. You have the option to add your own comments before Retweeting. When using Twitter's Retweet icon, your Retweet or Quote Tweet will reference the Tweet you are sharing. When someone replies to your Retweet, the author of the original Tweet will not be automatically added to the conversation. If you want to include the author of the original Tweet, you will need to mention their username. In addition to sharing other’s Tweets on Twitter, you can Retweet your own Tweet. This function is particularly useful when you want to re-post one of your older Tweets because it is relevant again. A hashtag—written with a # symbol—is used to index keywords or topics. This function was created on Twitter, but has crossed over and can now be used all over the world of social medial, including YouTube, Facebook, and Instagram. Clicking or tapping on a hashtagged word in any (social media) message shows you other Tweets that include that hashtag. Hashtags can be included anywhere in a Tweet. How to protect your Tweets. When you sign up for Twitter, your Tweets are public by default. Public Tweets, are visible to anyone, whether or not they have a Twitter account. Protected Tweets, may only be visible to your Twitter followers. Should you choose to protect your Tweets, you can do so through your account settings.